Of the total number, 549 were male and 187 were female. A TOTAL OF 736 people died as a result of drugs in 2016, a rate of two people a day, new figures from the Health Research Board show. The number is an increase of one person from 2015, and relates to people who have died in Ireland as a result of poisoning, trauma or medical causes linked to drug use. The total number of deaths from drug poisoning decreased slightly in 2016 to 354 (from 365 the previous year). Of the deaths from poisoning, alcohol was in implicated in 132 (37%) while it was solely responsible for 56 (16%). Opiates were the main drug groups implicated in poisonings. Heroin was implicated in 72 deaths in 2016 compared to 83 in 2015, while methadone was implicated in almost one-third of poisonings (103) in 2016. Deaths related to cocaine dropped slightly to 41 in 2016. Meanwhile, prescription drugs were implicated in 258 (73%) of every poisoning death. Benzodiazepines were the most common prescription drug group implicated. Methadone (an opiate substitute) was the most common single prescription drug, implicated in 103 (29%) of all poisonings. Pregabalin related deaths (anti-epileptic drug which is also prescribed for chronic pain and some anxiety conditions) increased from 49 deaths in 2015, to 65 in 2016. In relation to non-poisoning deaths, the number increased slightly with 382 deaths in 2016. Non-poisoning deaths were either trauma (172 deaths) or medical causes (210 deaths). Commenting on the figures, Dr Darrin Morrissey, Chief Executive at the HRB, said the number of deaths represented the “impact that drug use has on families and society”. “Behind these figures are lives lost and lives cut short. 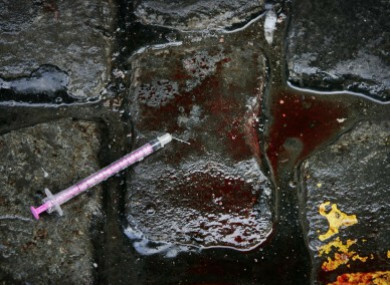 This HRB report clearly illustrates the impact that drug use has on families and society,” he said. Paula Byrne, CEO of homeless and addiction charity Merchants Quay Ireland, said the numbers were a “tragic reflection of a country failing some of its most vulnerable citizens”. We are seeing more and more people in addiction left behind, and the longer we leave people in addiction, the more likely their mental health and drug use will worsen. Ana Liffey Drug Project CEO Tony Duffin stressed that each one of those 736 deaths is “someone’s child, someone’s son, daughter or friend”. “Look, treating people who use drugs as criminals does not work and needs to change. Over 700 people died as a result of their drug use in 2016, yet if any of those people had come into contact with the state while in possession of drugs our response would have been to prosecute them using the criminal law. That makes no sense – at the moment we’re treating people who use drugs as criminals and yet more people are using drugs than ever before, more people are dying than ever before. The government launched its National Drugs Strategy, titled Reducing Harm, Supporting Recovery in 2017. The strategy explicitly supports moving towards a “health-led response to drug and alcohol use in Ireland”. Email “736 people died directly as a result of drugs in 2016”. Feedback on “736 people died directly as a result of drugs in 2016”.